Q. There are thousands of roses available in the stores and online. They all look beautiful! How do I choose which ones to buy? There are, indeed, many roses in commerce. To choose which ones are right for you, ask yourself these questions. Roses range in size from tiny miniatures 6 in. tall to giant climbers that reach 20 ft. in the air. What size plant will fit in your garden? How much time do I have to care for my roses? Roses come in every color except true blue. They can be solid color, blended, or striped. After thinking about these questions, look through the garden center, rose catalog, or website, and find the roses that match your requirements. Read the descriptions carefully, and choose the plants that meet your criteria. Don’t let yourself be seduced by all the beautiful photos! ​Q. 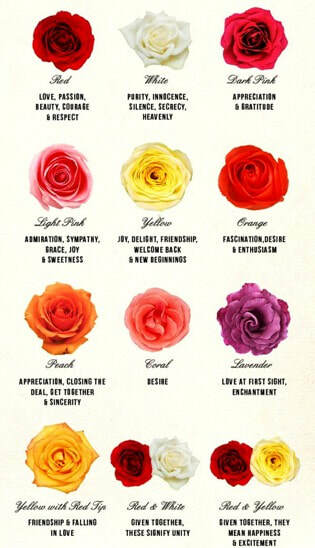 ​Do you recommend buying roses from the local box stores, or is it better to get them from a catalog or online source? May not give adequate care. Check carefully that the plants look healthy and have been receiving water. We don’t recommend the inexpensive roses in plastic bags or narrow cardboard boxes. They have had severe damage to their roots and will be a challenge to grow. Q. What roses can I plant that are easy care shrubs, but are different than the familiar Knock Out varieties? Grow to 3 feet high and wide. Grow to 2-3 ft. high and wide. 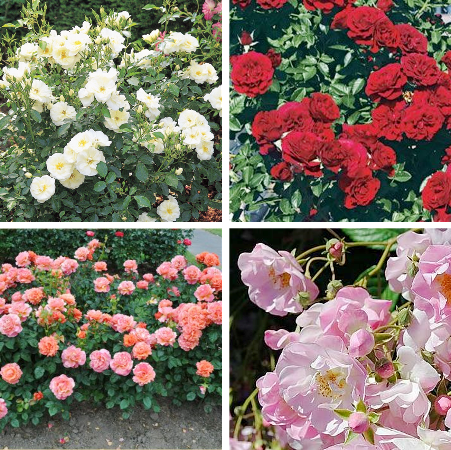 There are many great shrub roses to choose from beyond the popular Knock Out series. Here is a link to roses suggested by K-State Research and Extension based on field trials at the Olathe, KS research station. ​Here is a link to the Johnson County Extension publication on Easy Care Roses. Along with rose variety suggestions, it also provides tips on caring for shrub roses in your landscape. Question - Can tree roses be grown in the Kansas City region? Grow it in a large container that has drainage holes in the bottom, so it has good drainage. After the leaves drop in the fall, store it in an unheated garage or similar location. Be sure to water it occasionally so it doesn’t dry out. Plant it in the ground and treat them like a regular rose bush. When the leaves have dropped, dig a trench along the side of the plant and tip the whole bush over into the trench. Then bury it with soil, leaves, mulch to about 12 inches. In the early spring, before they break dormancy, tip them back up and resettle the roots into the original hole.